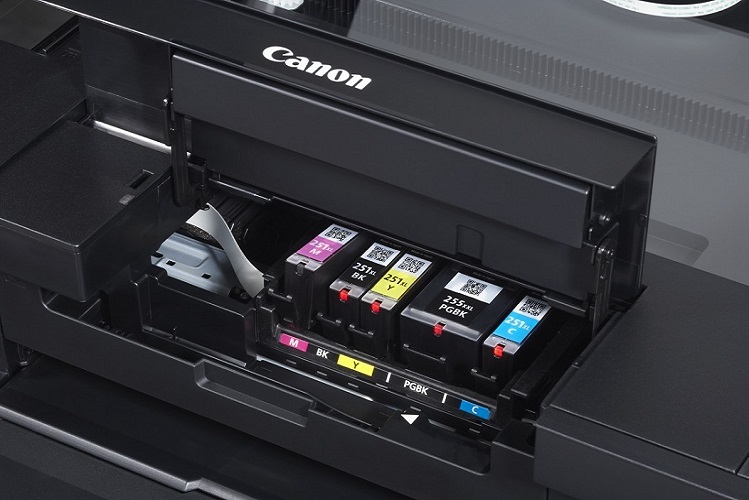 In this fourth and final installment of our fool proof ink cartridge replacement guide series, we are going to talk about replacing printer cartridges in Canon printers. 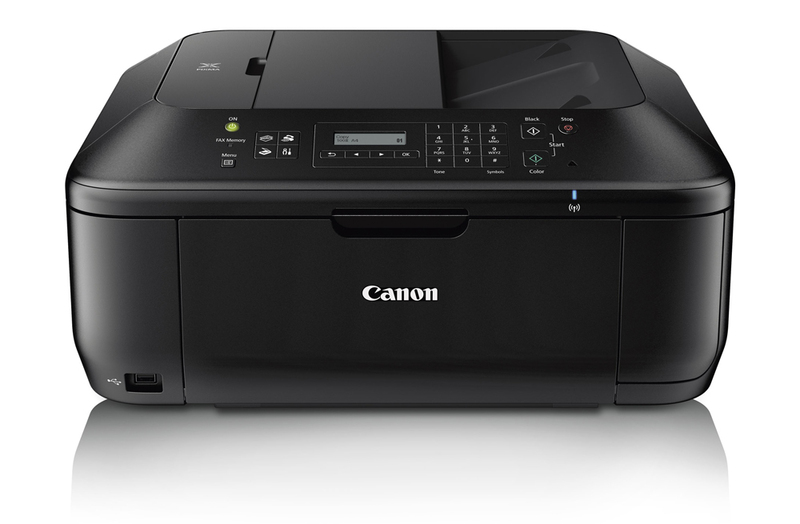 Canon printers come in many shapes and sizes, which means no two models are exactly the same. 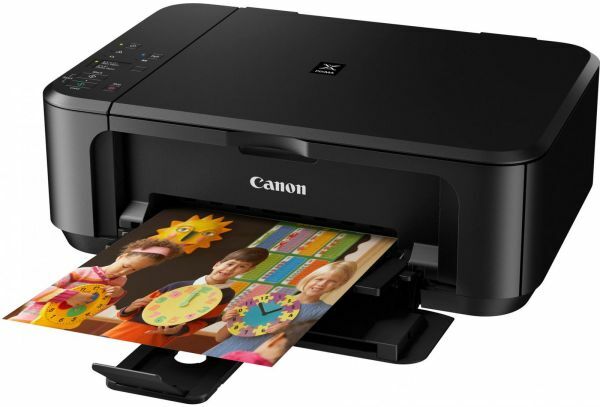 There are a whole host of different printers included in the Canon range, including all-in-one inkjets, photo inkjets, laser printers and laser multifunction printers which are primarily manufactured to produce top class photographic prints. Now, to cover two main ends of the Canon printer spectrum, we are going to focus on the installation instructions for replacing the Canon PIXMA MG2520 ink cartridge and the Canon PIXMA MX922 ink cartridge, two quite different but equally popular printer models. Let’s get started! To expose your printer’s internal mechanism, you will need to open up the front cover, which is located just above the paper tray. Much like a drawer, this has a finger indent at the top, which you will need to push in (DO NOT pull it down as this may damage the unit). You’ll hear a click and the flap will come down, causing the ink cartridge holder to automatically move to the center of the printer. First, you will need to remove each cartridge from their packaging and lay them flat on an even surface. Next, you will need to pull the plastic tab from each cartridges’ to expose their nozzles. During any printer ink cartridge installation, conducting a test print is vital. The installation process of a remanufactured cartridge is the same as installing an original Canon, but you might run into a small hiccup along the way. Many remanufactured versions of the PG-245 and CL-246 series do not recognize in your printer like a genuine product would. Fear not, the cartridges do still work but it does take a little bit of tinkering to get them up and running. If you buy a remanufactured cartridge and you get an error message upon installation, follow these easy steps to get back in business! You might see an error message saying your recently installed cartridge is “low” or “empty”. This of course is not true, you should have a perfectly good, fully functioning cartridge in your hands! The printer is still reading the information on the chip from the last time the cartridge was in use. Since then it has been refurbished and refilled with ink, but the chip has not been replaced. To get the cartridge working you need to force the machine to override that error message and accept the cartridge as is. The first thing you are going to want to do is take the cartridge out again and clean the chip, or gold contact, with a lint free cloth or Q-tip. Gently wipe the contact with the Q-tip a few times. The chip on an ink cartridge is very sensitive. Sometimes residue can get on the chip and produce an error on your machine. Next, we are going to want to reset the printer. To do this, power down the machine, unplug the power cord from the wall for 15 seconds. Plug it back in and turn the printer back on. Wait for the printer to initialize and then reinstall your recently cleaned cartridge. If you clean the chip, install the cartridge again and you are still getting an error message, do not be dismayed! You can easily override the error message by pressing and holding down the Stop/Reset button on the printer for a full 15 seconds. It may say “please wait a while” on your printer’s screen and your printer should go through a startup sequence. Once the startup sequence is complete you should be able to print to your heart’s content! After overriding the error message the printer will continue to use the cartridge without stopping due to the ink level being low or empty. You will not be able to tell how much ink is left in your cartridge. However, the cartridge is filled to capacity and you should get the same number of prints as an original! Another solid offering from Canon’s wireless all-in-one range, this sturdy little workhorse is the perfect home office companion and boasts fine photographic print quality, as well as a decent shelf-life. 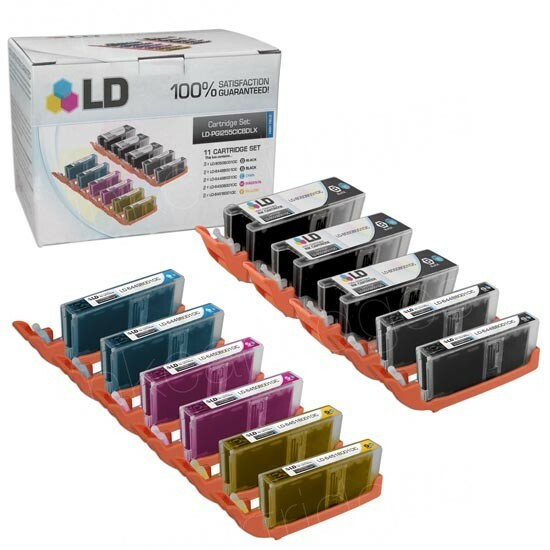 Please note, the order can vary from model to model, but every Canon printer of this kind includes color coding beneath the cartridge housing. If in doubt, refer to the codes in bold above. The Pixma MX922 series offers a high yield and standard yield version of their cartridges. The pigment black is also offered as an extra high yield. High yield cartridges are slightly more expensive but are a better deal in the long term if you print in high volumes. 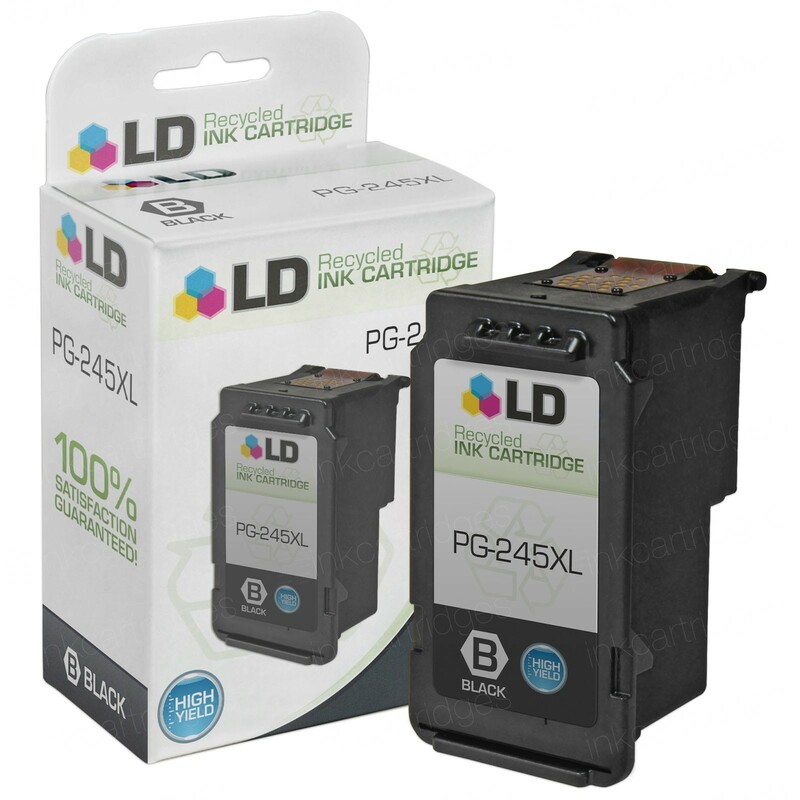 You will need both black cartridges (the pigment black and photo black) in order for your printer to function properly. The pigment black cartridge is designed for printing text while the photo black’s specialty is obviously, photographs. To expose the old cartridges, simply lift the operation panel gently with both hands. This is on hinges and lifts up like a lid; raise the panel placing your hands at the join just beneath the LCD screen. Make sure you wait for the old cartridges to automatically move to the centre of the printer before touching them. Once they’ve moved to the middle, it’s time for the next step. To remove the empty cartridges, carefully push the tab located at the end of each cartridge insert until they are released from their housing and pull them out. To avoid any confusion or unwanted leakage, make sure you remove each cartridge one by one – slow and steady wins the race. Any new cartridge might have the tendency to leak upon opening, so before you think about removing any packaging, it’s worth making sure you put down some plastic or newspaper down on a flat, even surface and avoid working near anything delicate or valuable. Some even prefer opening cartridges over a trash can just to be on the safe side. To expose the nozzles and get the replacement cartridges ready for insertion, make sure you remove the gray outer film, followed by the orange tape and the thicker orange cap on the outer casing. Once you have done so, insert each cartridge into the printer, following the color key below the housing, making sure the labels are facing upwards, then push them down until you hear a click. Once they are in place, a small red light will appear on the cartridge; this lets you know that they are secure. Finally, close the operation panel. Once you’ve replaced your Canon printer ink cartridges, you should run a quick print test to make sure everything is working correctly. To do so, fire up your desktop, pick an image that covers as much of the color spectrum as possible (this will give you a decent gauge of the performance of each cartridge) and press print. If the ink comes out streaky or smudgy, consult your Canon printer manual to check how to re-align the printheads. We hope you enjoyed our fool proof guide on how to change the main two types of Canon printer cartridges. If you would like to check out the other guides in the series, please feel free – and if you have any more printer ink related questions, drop us a line – we’ll be happy to help.